Unlike Darkstar's debut album North, News From Nowhere takes on a melodic, pillowy and sonically soothing sound. 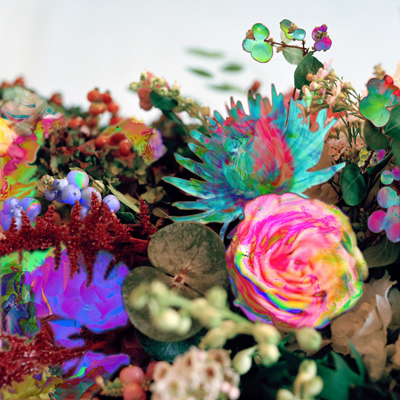 Darkstar abandoned their punchy-hard drum and bass and moved into a concept that is an airy and bright feel that still has the group's terrifying undertones. The new album takes on an original style within the entirety of its composition. After the 'North' tour Whalley, Young and Buttery retreated back to Yorkshire to write and record News From Nowhere. Whalley expressed that News From Nowhere entirely new set of melodies are the running force behind the album. The melodies are original, new, and created by a juxtaposition of the music on North. 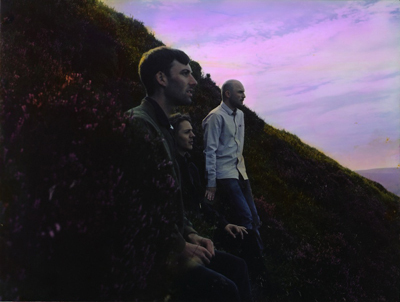 Darkstar used vintage analogue synthesizers and classic tape machines that allowed the group to craft songs that reflect the sci-fi name of the album, (which was named after the classic book by William Morris). The album tittle conveys a concept, the mix of retro instruments and modern textures translates perfectly into 2013, in that the music's mix of old and new is completely relevant to the listener. The organic and electronic sounds resonate into one sonic experience that flows, and the result is an innovative and unpretentious album. Each song is intentionally crafted, heartfelt, beautiful and a little scary. The album's songs flow in a perfect manner and it's hard to pick out a single track. However, it's not one of those albums where "the songs all start to sound the same" if you don't listen close enough. Rather, the tracks on News From Nowherebuild off of one another, and the previous song provides context to the next as the structure of the album calls to an aural-visual interpretation. Light Body Clock Starter's soft beginning quickly turns into a dark, fuzzy cluster of sounds encompassing the intensity of the vibrating synths which all leads to its sudden end. The sharp silence is calmed by the spinning-ticking-clock-melody of Timeaway - a distraction to the haunting end of Light Body Clock Starter. Then, Amplified Ease comes on, with sounds that are reminiscent to Animal Collective. And, later Bed Music - North View. It's all over now. The beginning is light, and makes you question if those sounds are from the album or something outside of your headphones. Then the vocals come in like words are stretched out as they travel forward and are reflected back into the beat as they lighten the heavy drums. Until the finale of the album ends with Hold Me Down and the whirlwind of sound conceptuality and then it's all over.